With warm summer days and nights at hand, embrace the great outdoors with some good old-fashioned al fresco living. Whether you’re looking for a quiet getaway to read a book or you are hosting a large backyard barbecue, you’ll need the right seating for hanging out and enjoying the season. 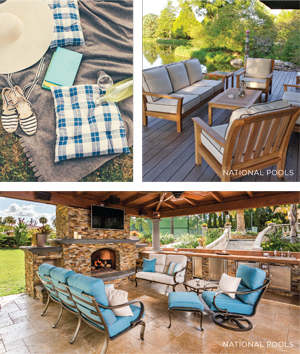 Perches for lounging by the pool, dining with friends, and gathering around the bonfire— we’ve got you covered with these comfortable summer spots. For lolling poolside and catching some rays, the classic chaise is a comfortable place to sprawl out. For a lounge that is easy to clean and one you can sit on with a damp suit, go with an aluminum frame and mesh backing. Or for something a little more high-end, a rattan or wooden lounge topped with a cushion covered in durable indoor-outdoor fabric always looks sophisticated. Outdoor sofas and sectionals, built from materials like teak or rattan, are made to withstand the elements. For shade, place a few oversized umbrellas nearby. Or to create more of an outdoor room vibe, go with a cozy cabana enclosed with fabric curtains. By using outdoor area rugs, you can anchor seating areas and help define the space. If you want to sling up a rope or fabric hammock between two trees, look for a shady corner of the yard where there isn’t too much sun, so you can comfortably read and nap. Hanging hammock chairs can easily be hung from a tree and provide a cozy garden getaway. (Cacoon is a brand featuring fun, modernlooking fabric pods that kids will love!) For a covered porch or a large tree with a sturdy branch, hang a porch swing for two. Fun seats like papasans, hanging cane chairs, and Acapulco chairs (cool, breezy cord-strung seats designed in the 1950s to mimic the feel of a hammock) are having a comeback. And if you scour your local classifieds or peruse antique shops, you may be able to score vintage patio pieces like retro metal lawn chairs or old-school bistro tables and chairs. If you enjoy sitting fireside, telling stories and roasting s’mores, Adirondack chairs are the camp-fire seating go-to. Or if you are looking for something whimsical and fun, wicker cocoon chairs offer a cozy place to curl up and relax. Dining options The classic wooden picnic table is perfect for family-friendly gatherings, as it can sustain wear and tear and seat a crowd. Teak dining tables and chairs are well-crafted and durable, withstanding all sorts of weather conditions. And, dining sets in metals like cast aluminum are low-maintenance and easy to quickly wipe down. For additional guest seating, forgo the boring card table and chairs and opt for something more stylish like a teak folding table and chairs, which are long-lasting and can easily be stowed away. A wrought iron bistro set is perfect for a romantic dinner for two. And you can find modern riffs on the classic bistro set in more contemporary styles and fun bright colors. 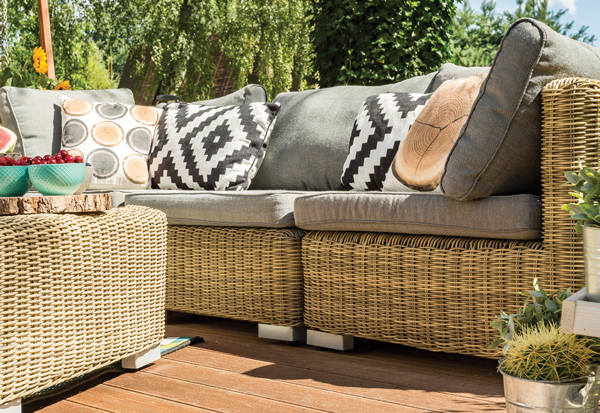 For outdoor sofas and chairs that are rattan or wood, you’ll need a soft cushion to top off the seating area. Get outdoor cushions upholstered or slipcovered in durable indoor-outdoor fabrics by companies like Perennials or Sunbrella. 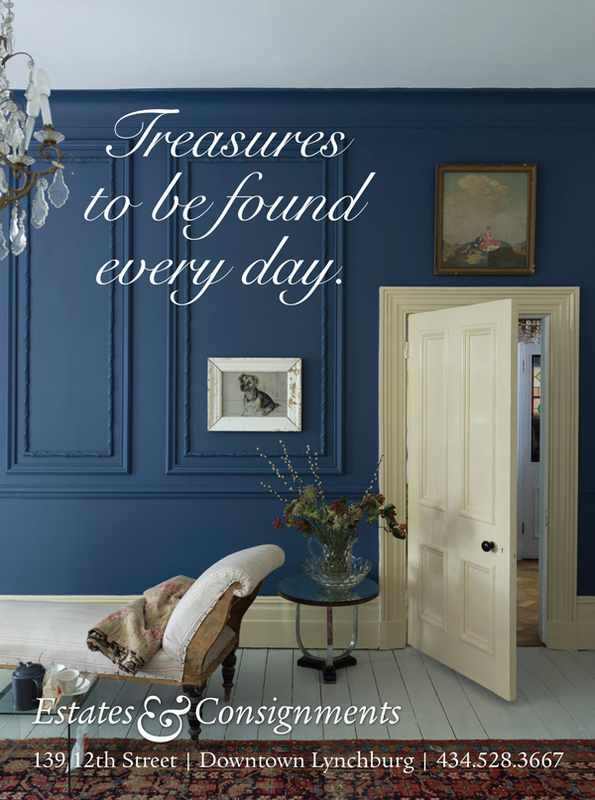 You’ll be amazed by the vast selection of colors, patterns and textures of today’s high-performance fabrics. And, don’t forget to have fun throw pillows upholstered in complementary fabrics to complete the look. If you have a pool and know that friends and family will be sitting on your furniture with damp bathing suits, you might consider vinyl upholstery for seating. On cold evenings where friends and family may be gathered around the fire, have on hand a stash of blankets made from durable yet soft fibers like wool or flannel. Vibrant Mexican serape blankets are both stylish and practical, as well as hardy enough to double as a picnic blanket if needed. If you enjoy a casual, bohemian vibe when entertaining in the great outdoors, simply spread out an array of brightly colored blankets or tablecloths in the yard and plop down oversized cushions and pillows for people to sit on. Waterproof picnic blankets in materials like vinyl are also a fun, easy-to-clean option for lounging and eating on the ground. 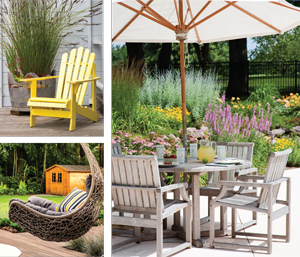 From dining to lounging, with plenty of seating for friends and family, you can get your garden summer-ready and celebrate the great outdoors all season long.